Steel spacers 1mm for 3mm axle, specific for 1:24 slot cars. 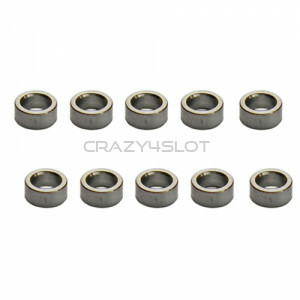 Pack of 10 spacers. ..
Steel spacers 2mm for 3mm axle, specific for 1:24 slot cars. Pack of 10 spacers. ..
Steel spacers 3mm for 3mm axle, specific for 1:24 slot cars. 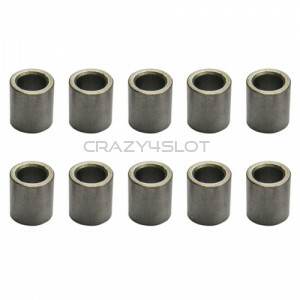 Pack of 10 spacers. ..
Steel spacers 4mm for 3mm axle, specific for 1:24 slot cars. Pack of 10 spacers. ..
Steel spacers 5mm for 3mm axle, specific for 1:24 slot cars. 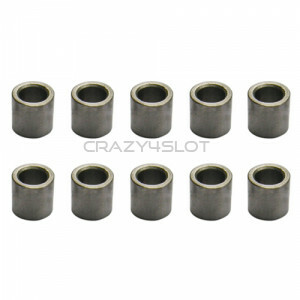 Pack of 10 spacers. ..